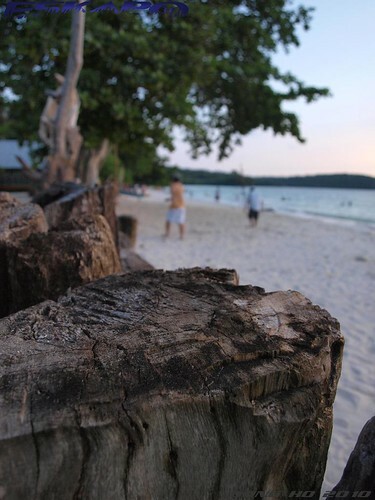 Pagudpud, the Northernmost town of the big Luzon island has some of the most beautiful beaches. and i heard that Glan, the Southernmost town of the big Mindanao island also has the reputation of having great beaches. just right after the Kalilangan Festival, Sheng led us to the van terminal to Sarangani province in NCCC mall of Gensan. travel time for this trip is about an hour which includes the habal-habal ride. it has been a long time when i last tried riding a habal-habal. 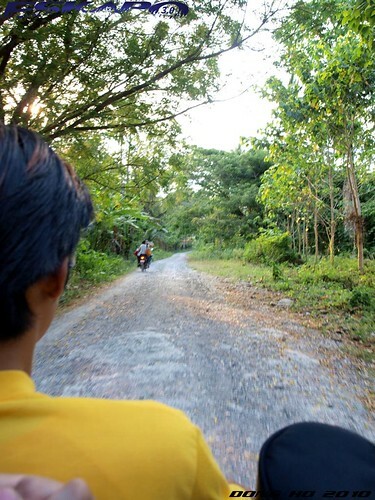 it's basically just a motorcycle used in many Visayas and Mindanao provincial town to transport people to some of the secluded village. it was already late afternoon, when we reached Glan and we were rushing to see the beach before the sun went down. we need not to tell the habal-habal driver to rush as it was running at a speed and even overtaking other vehicles on curves . 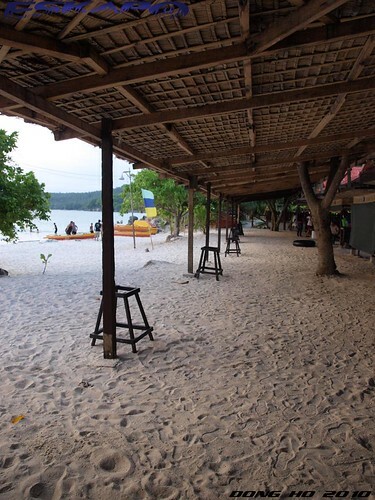 the many beaches along the coast of Glan, travel and blogger friend Lantaw recommended us Coco beach. 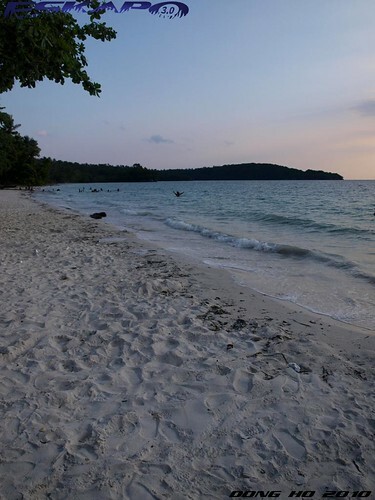 it has a long stretch of powdery fine white sand with small cottages and shelters. it was already at high tide, thus we didn't had the chance to see it's beach coast width. 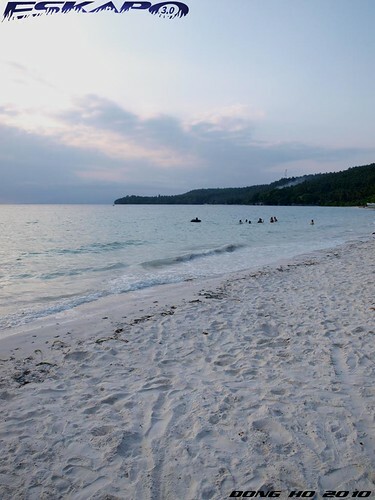 it may be secluded, but a lot of people from the nearby provinces already knew about this beach. what is an hour or two to travel to a beach like this. maybe it was not just our time to see how beautiful this beach was since we had a limited time there and that the sun went down behind the clouds before the horizon, we knew that it is one of the most beautiful beach in the country. 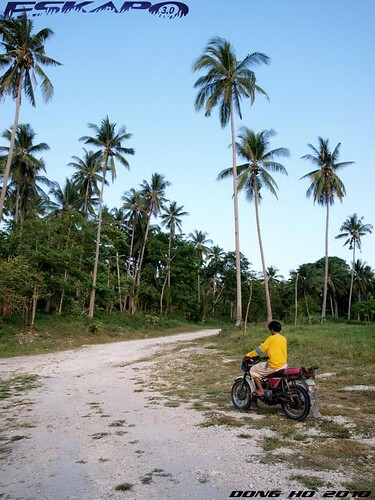 how to get there from Gensan: ride a van at the NCCC mall of Gensan that goes to Glan, Sarangani then tell the van to drop you to the nearest terminal that goes to Coco beach where you will take a habal-habal (motorcycle) to go to the beach. overall estimated travel time is about an hour. magsama naman kayo. :) lagi na lang kayo. kayo nang kayo. Very lovely beach. The sand looked so clean and fine. 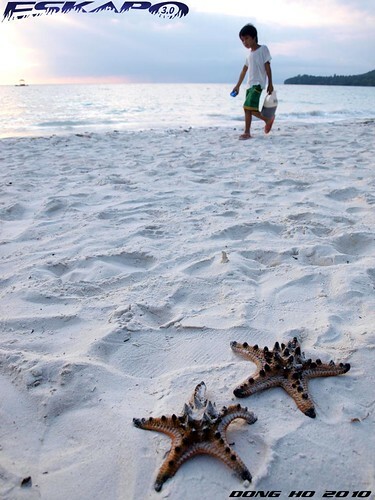 Great find of the starfishes. 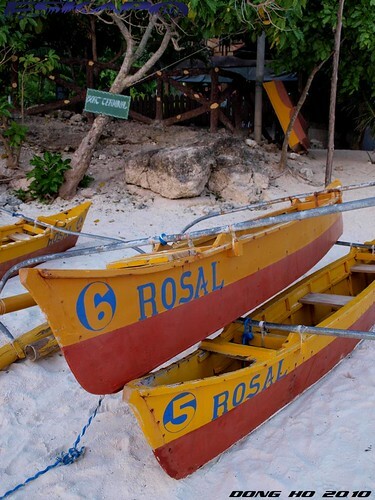 Now I miss Gumasa after reading this post. I've also been on a Habal-habal before but I don't miss it (especially when you have a backpack on!). haaay, kung sana, pwedeng by land lang kahit ilang oras pa, mapasyalan sana... haaay, kelan ko kaya mapuntahan yan! ..ang ganda!! natuwa ako sa comment ni pusang kalye. Beautiful beach, so wide and picturesque. A very enjoyable post! wow, another great find. is this place a more developed than it feels like on the images? di ba nomadic pinoy is from this place? Ive seen pics in PEX, ang ganda nga. Gorgeous beaches, to be sure. I feel the sand in my toes... Thanks. Hehehe, what's wrong with the post is that, the terminal was located at the back of KCC Mall and not NCCC, as NCCC Mall is in Davao. Nice pics, you should return! wow! ganda naman talaga ng mga lugar na napupuntahan mo dongho. kakainggit naman. sana can afford din ako magtravel sa lahat ng places na gusto kong puntahan. dom! KCC daw sabi ni sheng. haha! :P wait, pwede bang the regular tricycle instead of habal habal? afraid ako sa motor haha! gumasa beach its also one of my favorite beach in mindanao. Ay mali, naka-3 pala ako dito! Nakapag- Puca Beach na ang White Beach sa Boracay, hehehe. Biglang ni-review ang post, hehehe. We've tried the habal-habal once, when we went to Mindoro, and a couple of friends met a bit of an accident during an uphill climb. No fractures sustained, but the sight was quite scary. But still, for spectacular views and photos, some risks (and scratches) are willingly taken. 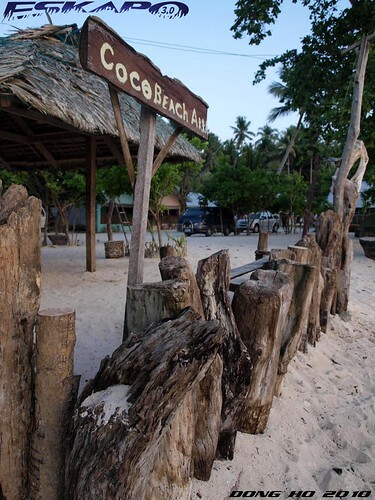 What is it with the name "coco beach"? It seems there's a beach named like so everywhere. i've been to saud beach in pagudpud up north but never explored beaches down south. lucky you for experiencing the best of pinas from luzon to mindanao. more fascinating beaches to enjoy! ...have a blessed holy week, dom. Hows your Holy Week Kuya Dong? nakapunta na kayo ng samal island? capones/anawangin (tama ba spelling?) kami for teambuilding!!! ang ganda at ang galing ng trip mo ha. lahat yata ng nasa sulok at magagandang lugar napuntahan mo. The sand looks really fine. I love the last shot. ang ganda! isa yan sa mga susunod kong pupuntahan, hopefully next year. safe naman, no?